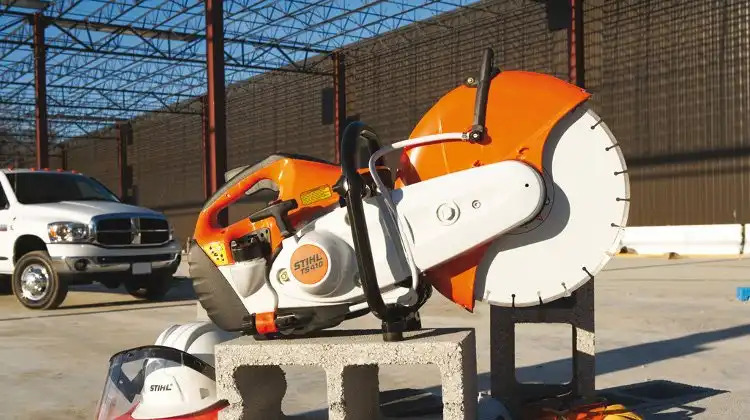 If you are a homeowner looking to buy a basic chain saw for small chores around the house or someone shopping for power tools for the very first time, the Stihl MS170 is just what you’re looking for. Light, compact and easy to operate, the MS 170 is a best-selling entry level saw around the world. At 4.2 kg with a power output of 1.2 kW, this introductory saw works well for all types of residential maintenance work; pruning, cutting firewood, felling small trees (up to 30cm in diameter) or clearing up debris after a major storm. 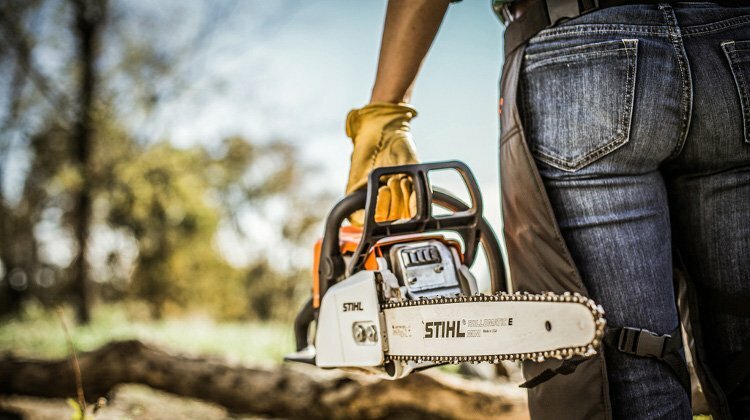 The Stihl MS 170 comes with many design features found in professional chain saws too! One outstanding feature of the MS170 is the compensator. This device regulates the fuel to air ratio in the carburettor so that it remains constant. As a result, the engine power will be kept steady even though the quantity of air entering the filter gradually decreases as the filter gets clogged. A single-lever master control and anti-vibration system makes running this chain saw an easy and straightforward process for novices. Some international models even come with a catalytic converter that decreases the amount of toxic particles released in the exhaust gas. By now, it should be pretty obvious why the Stihl MS 170 is the most popular chain saw for occasional users. 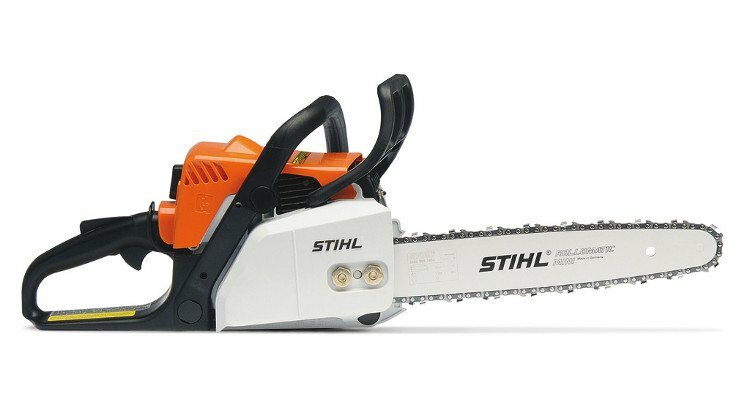 So if you need a light chain saw for simple household projects, just head on to your nearest Stihl dealer for more details. Chain Lubrication Type Automatic oil pump.